1 What does the Zero Zero Robotics offer? Drones and selfies, a strange combination that we began to see more frequently, a few days ago we knew ROAM-e, the selfie drone, an interesting bet that seeks to replace the famous selfie sticks. But now we have another twist, which curiously is not offered as a drone, but as a flying camera- Hover Camera Passport. An unmanned aircraft that stands out for its small size and peculiar design by Zero Zero Robotics. The Hover Camera is that, a camera equipped with a structure and functions that allow you to fly, this will be possible to take photos from interesting and fun angles, but also has elements that will undoubtedly be attractive for all those who seek to have original photographs. The drones are unmanned vehicle or means of flying object, renowned for their large sizes and high prices. For these reasons, the Chinese company, Zero Zero Robotics, has changed such perspectives of the drones with its new device the Hover Camera Passport. It is designed to be the companion of your vacations or adventures by having tracking technology. Discover in detail the features of the new selfie drone and its incredible price. Under a creation of the startup Zero Zero Robotics, this flying camera is not considered as a drone since its weight is only 238 grams, which allows to avoid the mandatory registration of the FAA in the United States, however it will have to consult the regulation Applicable to other regions if it is desired to avoid any setback. What does the Zero Zero Robotics offer? In April of the year (2016) the Chinese company, Zero Zero Robotics, announced its new project dealing with the selfie drone. The new drone is now on sale and today we will know everything it offers. The unmanned aircraft differs from the other drones by being specially designed to be a small traveling buddy. Its use focuses on leisure or entertainment to capture the moments of the user. With this drone it is possible to take pictures with the smartphone, enable the ‘Orbit’ mode through which the drone will record video while rotating around us or take a 360º panorama. Another of the most striking aspects of this drone is that its construction makes it especially safe to avoid cuts that together with its hinges makes it occupy very little space and that we can also easily carry with your bag included. The Hover stands out first for its peculiar design. It has the form of a book, which is foldable to open and near close its two wings. Both wings are composed of carbon fiber grids where the drone propellers are visualized with the naked eye. Its structure makes it a small and light drone. However, this does not mean that it is weak because the Hover has an impact resistant design. When referring to his book form on the “back” of the unmanned aircraft is located a front camera. The action camera has 13 megapixels to capture or record high resolution images. In addition, it has an image stabilizer to guarantee clear photographs and videos. Another feature that the Hover Camera Passport offers is its detection and tracking technology. Such technology detects the face and body of its respective user to maintain the focus and can follow it wherever it goes. The drone to be manufactured for personal use provides ease of handling. The Hover is handled by an iPhone app to control the flight from the mobile device screen. The flight of the same seems like it is floating in the air, in this way, it can take off and land safely. Also, the user can grab the drone in the air or launch it gently, as the Hover maintains its balance. 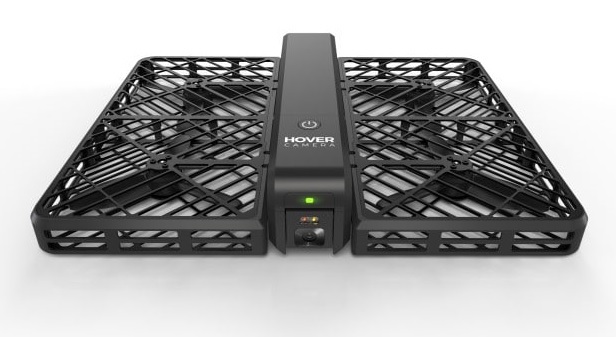 The Hover selfie drone guarantees high resolution images thanks to its small and powerful camera action. The camera has a 1 / 3.06 “13-megapixel CMOS image sensor. The lens is 28mm, which is equivalent to 35mm and has a maximum aperture of F2.0. The optical system of the Hover Camera Passport can capture high resolution photographs at a maximum size of 4208 × 3120. You can also record videos from 4K to 30 fps. The camera is positioned on the front of the drone and can be moved up and down. It goes beyond a simple image, as it can also capture or record a panoramic 360 ° image. Detection and tracking technology. One of the most relevant features of the Hover is its detection and tracking technology. The tracking system is based on two efficient functions to obtain an optimal result. The first function is characterized by the detection of faces to focus the user of the image. In this way, while the drone is floating in the air, this function is responsible for maintaining the sharpness of the subject. The second feature deals with tracking technology or body tracking. The purpose is to follow the user wherever he goes and any activity. Also, while the Hover Camera Passport floats in the air you can capture pictures or record videos of the user’s adventures. In addition to this, it is powered by a Qualcomm Snapdragon 801 processor, accelerometer, gyroscope and speed and position sensors. All this allows this camera to be equipped with a tracking system that is based on facial and body recognition, which can be activated from our smartphone, which also serves as a remote control. The selfie drone is made for personal use and by default it is easy to use. The Hover works through an iPhone app that once unloaded connects the device to the drone. Operation is controlled through the display of the mobile device. It also contains sensors that give you that unique quality of floating in the air and maintain balance. The user can place it in the air to start their flight or grab the drone to stop it. The Hover Camera Passport is characterized by its innovative design. The drone has a book shape consisting of two folding wings that can be easily opened and closed. 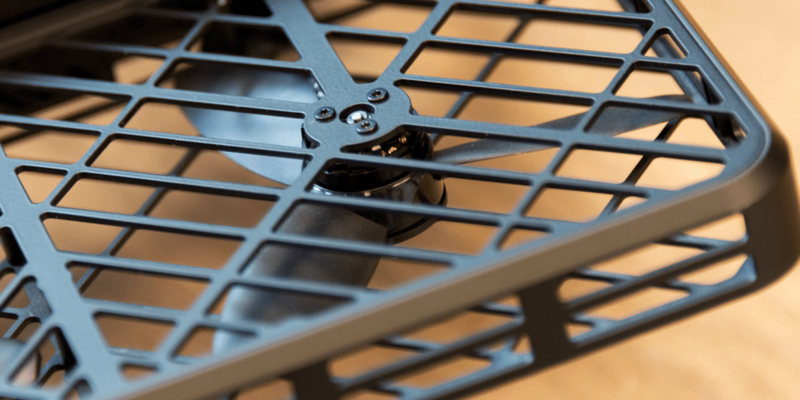 The wings design consists of sturdy carbon fiber grilles, where drone propellers are visualized at a glance. Each wing has two metal propellers that ensure the flight and balance of the drone. Then there is the body of the Hover that has a book-shaped “back”, where the on / off button and a front camera are located. With respect to its dimensions are of 182x132x33mm³ that add up a total weight of only 242gr. Its foldable design and light weight make it easy to store and transfer the drone. Without a doubt it is a small unmanned aircraft, which becomes the ideal photographic accessory for the holidays. The Zero Zero Robotics Drone contains a series of sensors that measure your altitude limit and flight speed capability. The Hover can reach a maximum altitude of 2000m and fly at a speed of 8m / s (17mph). In addition, the battery of the drone lasts 10 minutes, but the Hover includes two additional batteries to start its flight again. Also, the design of the Hover Camera Passport is made of impact resistant material. In case any of the propellers are damaged you do not have to worry, as it can be replaced without problems. The Chinese company, Zero Zero Robotics, presents its new project that deals with the drone Hover Camera Passport. The unmanned aircraft is already available and has an incredible price of approximately $ 600. If you are thinking of buying Hover Camera Passport. To obtain more information of the Hover Camera Passport and / or to make your purchase you can enter in the web page: gethover.com. Zero Robotics could be considered to have changed the perspective of the drone. Its new project is based on the evolution of unmanned aircraft for those users who do not require experience. The Hover Camera Passport is made for personal use to capture or record user vacation pictures. It has a sturdy, foldable and lightweight design for easy storage. The drone is easy to use because it is handled by the screen of an iPhone. It is a travel companion because it has detection and tracking technology. Such technology deals with the tracking system to keep the subject focused and can follow it everywhere. In short, we are faced with a new concept of technology, called “Hover Camera” or ” Hover Camera Passport” and we are sure to see more and more. At the moment we believe that its price is somewhat high, but it certainly results from an accessory for more geeks and lovers of selfies. Although the quality of the video is not the most optimal, the comfort and simplicity with which you can move and transport this drone, make it the most practical ally. 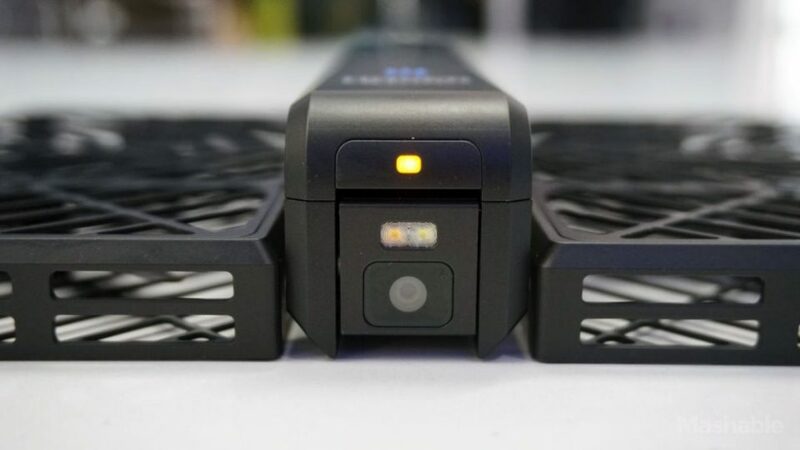 We also want to know your opinion on what did you think of the drone Hover Camera Passport? Do you consider it an innovation of personal use drones?